Help a US Veteran get their life back. Choose Any Amount to Give – One-Time OR Monthly! Looking for a way to impact this world and make a difference? Our upcoming program is being developed to provide assistance to veterans with PTSD who are suffering from the invisible and emotional wounds from providing service in the armed forces. The veterans dedicated their lives to serving and protecting our country and have been traumatized by the act of war. After returning home, realizing everyone else’s lives have also moved on and their families are different from when they left. The veterans have issues going on in their mind that are confusing and traumatic. They are not trained to deal with such issues and can only get help through mental and physical means. They are distant from their families and start shutting down emotionally. Most believe since they can’t understand what is going on in their mind, no one else can understand either. Most have issues with trust and communication. Your gifts can help them get their lives back. 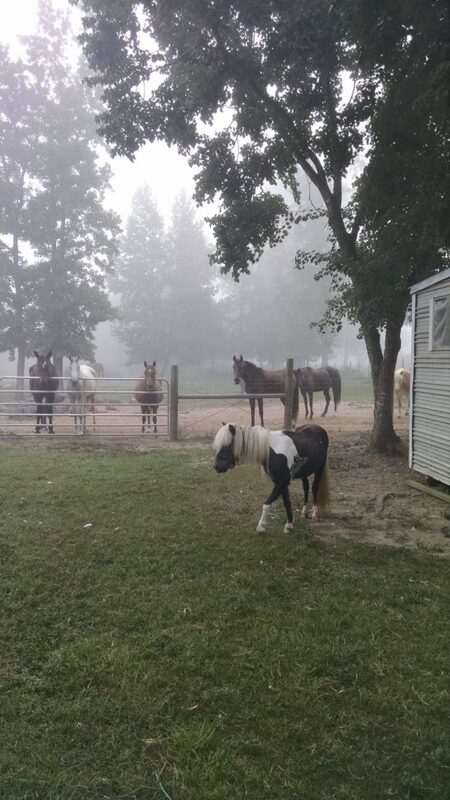 By supporting Warrior Horse and our initial efforts to raise awareness about our program, you will give veterans a chance to make a connection with a horse that can possibly give them what nothing else has been able to….their lives back, and I don’t care how rich you are, you can’t buy that. I could never do what they have done for a career. I am a lover, not a fighter, and you can’t love your way out the conditions of war. Imagine if you will, yourself standing at a round pen watching the process of the program unfold in front of you, seeing the impact that just occurred to allow someone who came here with no hope, stressed out, secluded from their spouse and family, thinking about suicide, get their life back right in front of you. Now close your eyes, no seriously, close your eyes and see it in your mind. Can you feel the impact? Did it touch your heart? Now multiply that by 1,000,000 because if you were truly standing there that’s how it would feel. Money can’t buy that feeling. Knowing that you had a part of someone getting their life back right in front of you and you had something to do with that. On behalf of all the lives you will help change, WE THANK YOU! Without your efforts it won’t be possible.